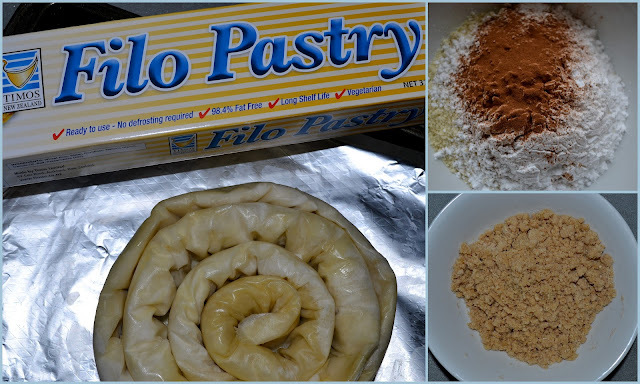 I was watching a TV show here called “World Kitchen”, and was inspired to create this unique treat from Morocco: Almond-filled Filo Snake. I made many adjustments to this recipe because I was trying to use up extra cupboard ingredients. Below is the actual recipe but I have noted my changes too.